Earn really high interest, plus refunds on ATM fees nationwide! * That's right. We'll literally pay you to bank here. Plus, if you link your Kasasa® checking account to Kasasa Saver®, we'll automatically transfer your cash rewards into savings each month. So you can stash away cash without even having to think about it. 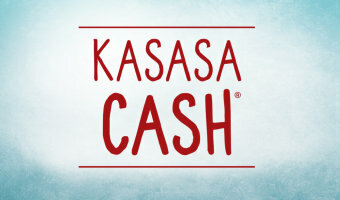 *Reward Information: When your Kasasa Cash account qualifications are met during a Monthly Qualification Cycle, balances up to $10,000 receive an Annual Percentage Yield (APY) of 2.50%; and balances over $10,000 earn 0.15% APY on the portion of the balance over $10,000, resulting in a range from 0.36% to 2.50% APY depending on the account's balance and you will receive reimbursements for nationwide ATM fees incurred during the Monthly Qualification Cycle in which you qualified. Interest and ATM fee reimbursements will be credited to your Kasasa Cash account on the last day of the statement cycle. APYs accurate as of 01/12/2015 Rates and rewards are variable and may change after the account is opened. Fees may reduce the earnings on the account. * When Kasasa Cash qualifications are not met, all balances in the account earn 0.05% APY and ATM fees are not refunded. *Additional Information: Account approval, conditions, qualifications, limits, timeframes, enrollments, log-ons and other requirements apply. A $25 minimum deposit is required to open the account. No minimum balance other than the tiers stated above is required to earn the APY. Enrollment in Online Banking and receipt of electronic statements are conditions of this account. Enrollment in electronic services (e.g. online banking, electronic statements) and log-ons may be required to meet some of the account's qualifications. Limit 1 account per social security number. There are no recurring monthly service charges or fees to open or close this account. Contact a Washington Financial service representative for additional information, details, restrictions, processing limitations and enrollment instructions. Member FDIC. Kasasa & Kasasa Cash are trademarks of BancVue, Ltd., registered in the U.S.A.